My final creation with the Crafter's Companion Quilling Flower dies. 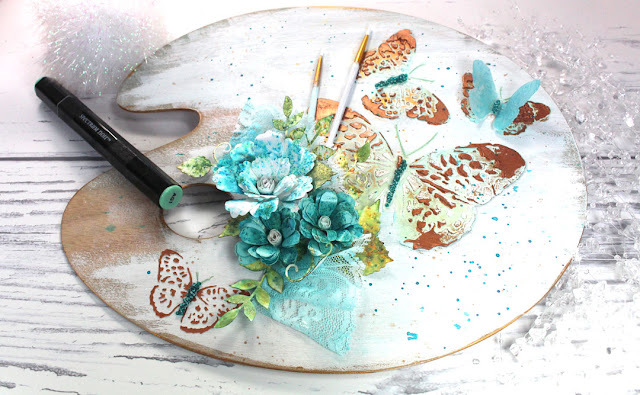 This was so much fun and something I rarely do....mixed media! 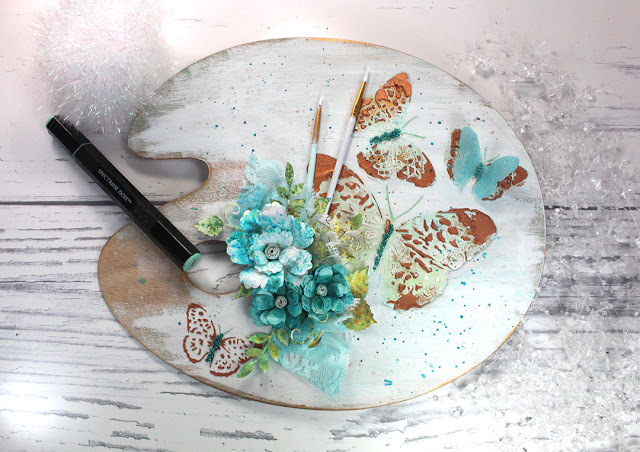 I took a wooden painters palette, smeared it with white paint, stenciled with Texture Luxe, added beads and just literally had fun with it. For the gorgeous Quilling Flowers, I eBrushed them with a Spectrum Noir markers. I was sorry to see this piece go out the door. 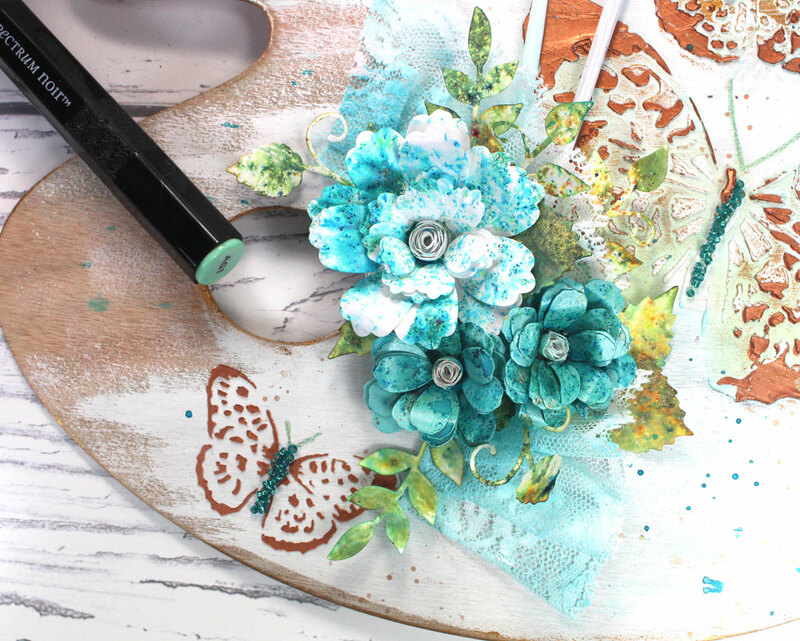 Make sure to watch tomorrow and grab your Quilling Flower dies early!